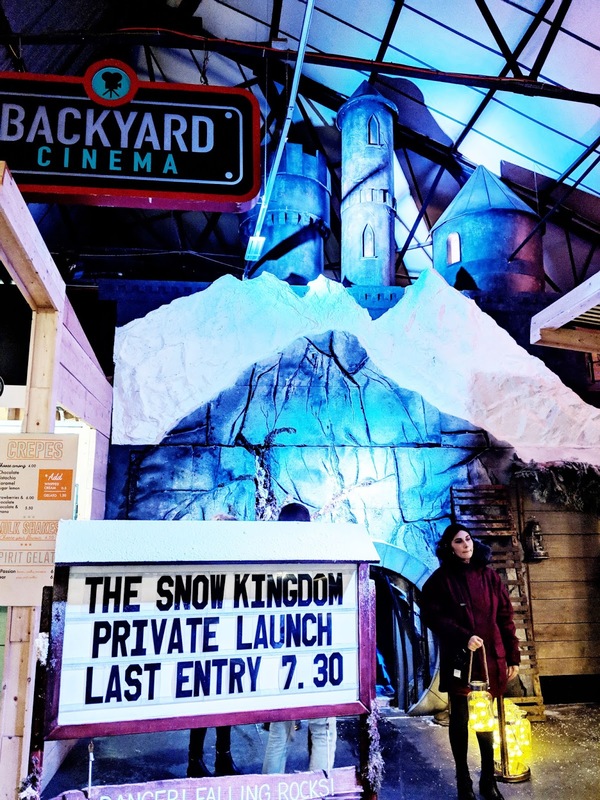 Review | Backyard Cinema Snow Kingdom, London + Win a Pair of Tickets! 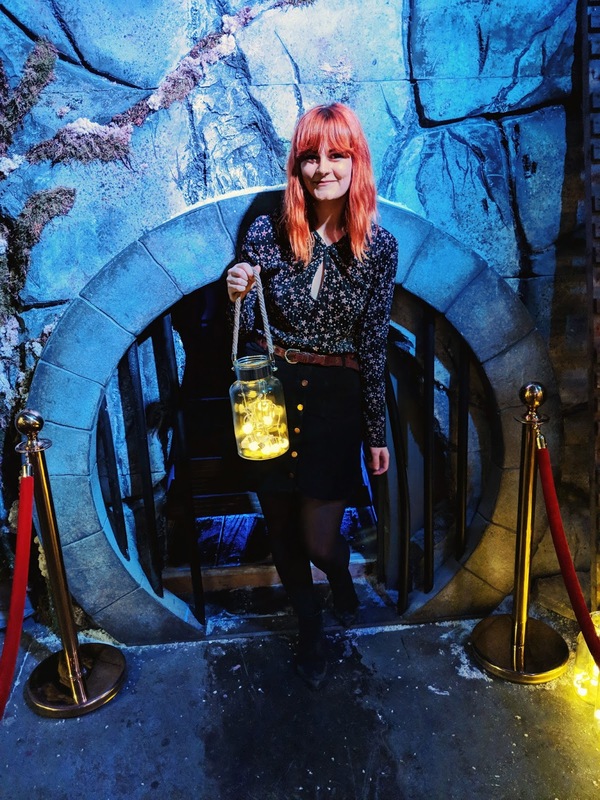 You may have seen across my social media channels that I have visited the Backyard Cinema a few times since the start of the summer, because I've been lucky enough to become one of their official Backyard Cinema bloggers. If you haven't heard of them before, the concept of the Backyard Cinema is to provide an alternative cinema experience for its customers, which it provides through its ever-changing themes. It's a roaming cinema that pop-ups at multiple events and venues across London as well as recently having secured a more permanent home in Borough. Every few months the cinema switches up its narrative; in the summer it was 'Miami Beach' and now it has transformed into the enchanted Snow Kingdom for the winter season. I was lucky enough to be one of the first people to experience it in all its captivating glory at the private launch last week. The cinema itself is located a short walk from Borough station and is nestled within the Mercato Metropolitano Italian street food market, which is lined with multiple Italian food kiosks. There is plenty to choose from including some incredible wood-oven baked pizzas (I can vouch for them - they're delicious! ), sweet treats and even a gluten-free stall. If you're planning on catching a film at the Backyard Cinema then you should definitely arrive a bit earlier and grab a bite to eat at the market beforehand! You can't miss the cinema's entrance as it's a pretty extravagant fairytale-esque castle, but just in case you do somehow miss it, it's located in the right-hand corner as you enter the food court. After grabbing your ticket and any food or drink tokens you may have purchased at the box office you'll be greeted by one of the team at Backyard Cinema who will hand you a jar filled with Pinterest-perfect fairylights, which will help guide your way through the magical entrance before you reach the screening room. 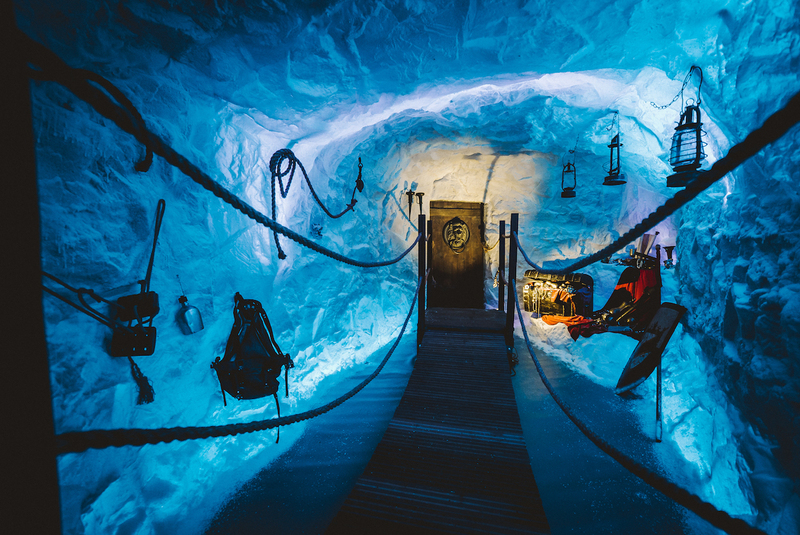 After ducking through the tunnel-like entrance, and being warned not to hit my head yet *still* hitting my head straight away, you'll encounter an ice cave with wooden footbridge that leads you across a frozen lake with explorer-themed artefacts dotted around. It's literally like stepping into a fairytale set up and you instantly forget that you're in south London! 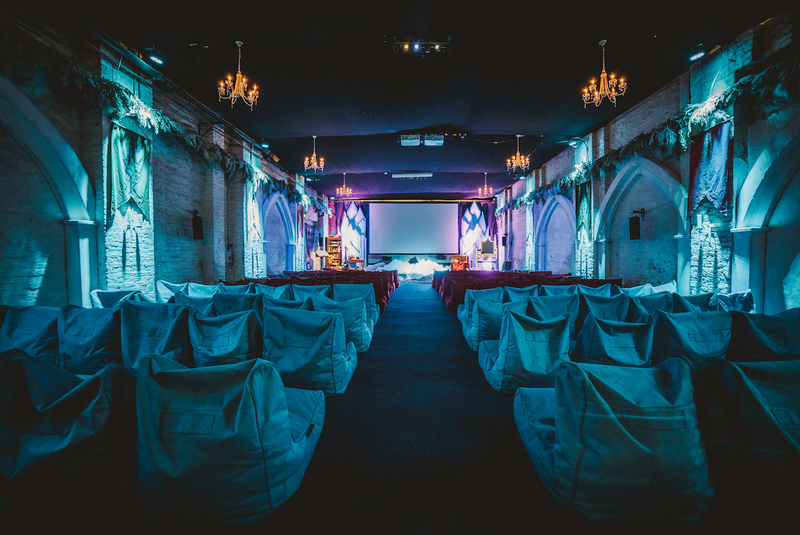 After making your way across the bridge and through the wooden door, you'll step into the screening room which is reminiscent of a magical castle with Snow Kingdom emblemed drapes hanging from the walls and beanbags dotted around in front of the screen. I can't even begin to explain just how comfortable the beanbags are and they make such a welcomed change for the usual stiff traditional cinema seats. 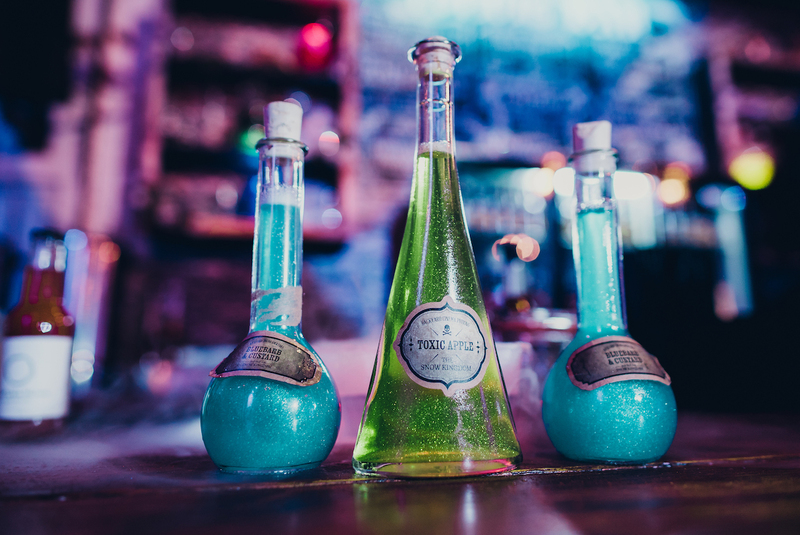 To suit the Snow Kingdom theme, a few new cocktails infused with sparkling edible glitter have been added to the menu; I opted for the Toxic Apple option and it was so, so delicious! As the winter draws in, the Backyard Cinema is the perfect night out in London as you can snuggle up undercover in front of a film in an imaginative and completely immersive setting. The guys and gals at Backyard are really changing up the idea of 'just going to the cinema' and making it so much more. 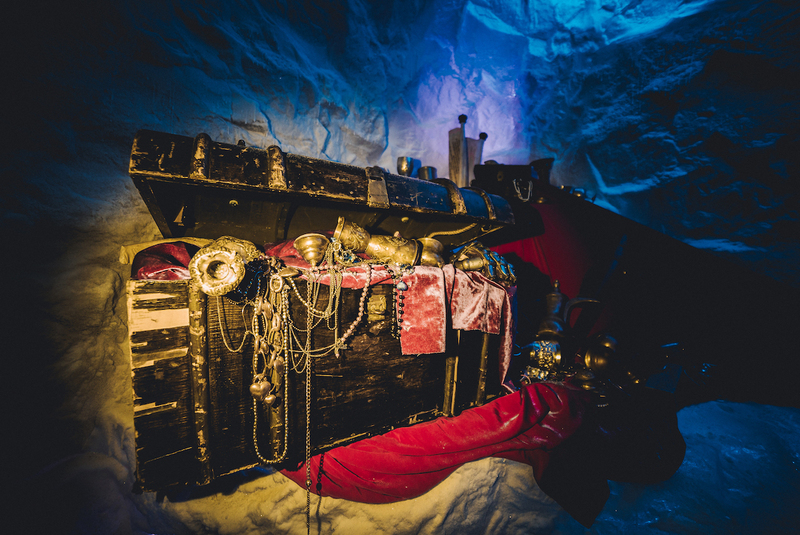 The Backyard Cinema Snow Kingdom is showing a range of classic films for the winter months from Beauty & The Beast to Bridget Jones to Cool Runnings and it's open until January 7th 2018. You can view the full upcoming listings here. The team at Backyard Cinema have also offered a date night package for one lucky reader that includes a pair of tickets to a film of their choice (subject to availability), some bubbly & snacks to enjoy throughout the film. To enter, simply follow all of the steps in the Rafflecopter widget in this post. Good luck! A selection of these photos were supplied directly by Backyard Cinema. I’ve visited once before last year when it was Narnia themed! It looks wonderful this year and my birthday is in December. I’d love to go again! I would love to see any of them! I'd like to see Home Alone. I'd love to see Elf! I'd love to watch Love Actually on the big screen! Wow, I might actually look into this! It keeps popping up on insta but I never knew it was this cool. Have checked but most tickets are gone, hopefully I'll be lucky for once and win your comp haha. Dirty Dancing would be amazing!